Do you every feel overwhelmed with your child's sensory diet? Maybe you wonder what sensory activities you should be offering your child? Maybe, you can't find activities that work? Sensory diet's are meant to meet your child's sensory needs! Because, when the brain doesn't have to worry about trying to get the sensory input its craving or avoiding it can think clearly. 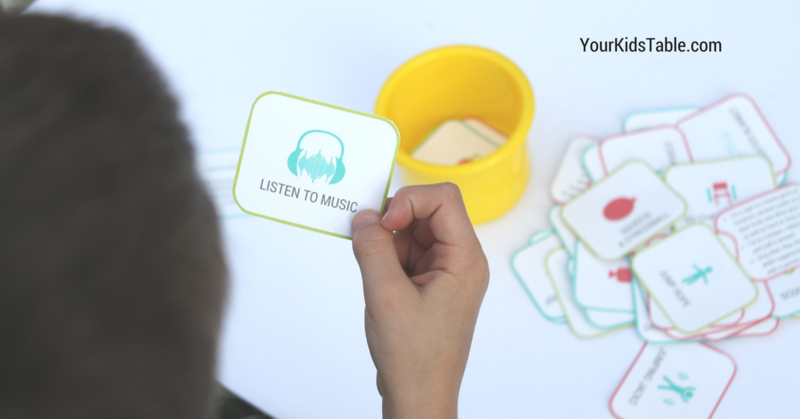 These cards are an "easy button" so you don't have to think about the various sensory activities that might help your child. They also allow them to choose what their body needs when they need it! Are these a physical product? Will you mail them to me? No, you'll get a downloadable PDF file that you can print at home right away! 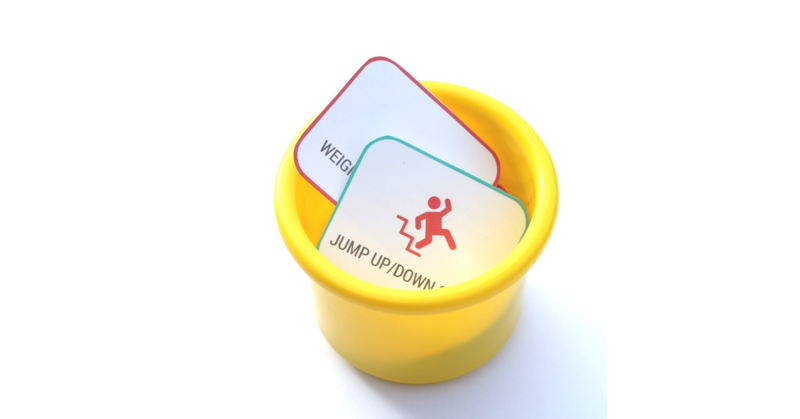 What ages are the sensory diet cards intended for? These cards are best used with children ages 2 and up. How do I print the cards? Card stock (thicker paper) is recommended. They can be printed in color or black/white on your personal computer or sent to a store (i.e. : The UPS Store) for printing.There's an option to print cards double sides with tips and activity suggestions on back or single sided with images only. I'm a professional (therapist or teacher), can these cards be used for multiple students? You can use your own individual set with as many students or clients as you like. 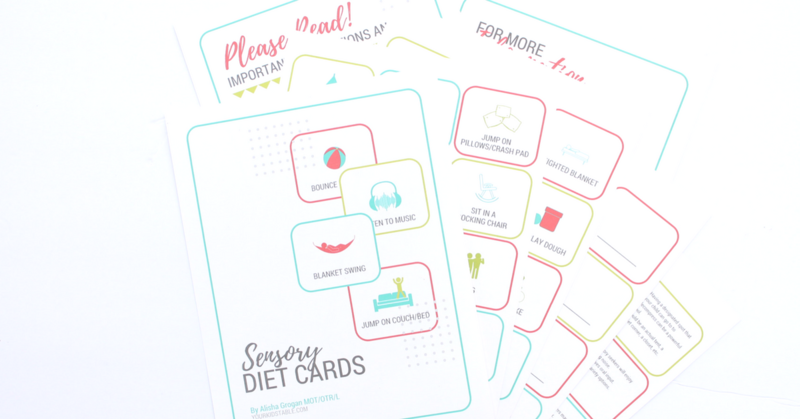 If you would like to print out multiple sets to give to students/clients to use on their own head over to the professional copyright license version of these sensory diet cards. Click here. Author and owner of Your Kid’s Table LLC, a site designed to help parents help their kids with sensory processing and all things feeding, two specialties of Alisha’s as a pediatric OT. She’s also the creator of the online class Mealtime Works and co-creator of Sensory Solutions. Alisha has three boys at home, one of who has sensory needs and a history of feeding difficulties. She lives in Pittsburgh, Pennsylvania. 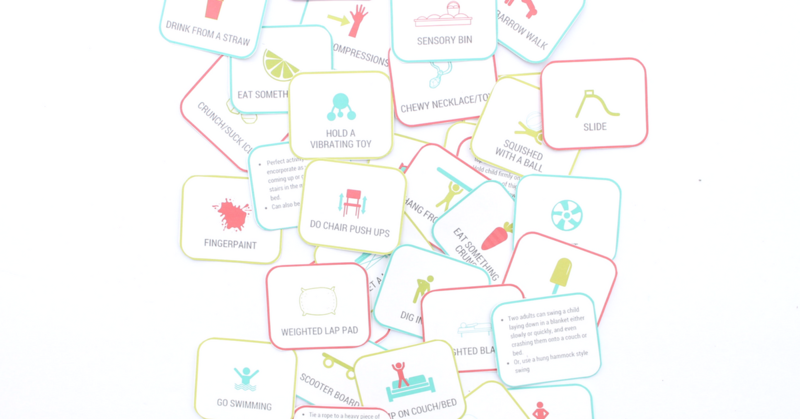 Get Your Very Own Sensory Diet Cards that You Can Start Using Today!